IBA CED along with IBA Entrepreneurship Society conducted a session on 30th March. The session was held at G&T auditorium and was attended by a full house comprising of IBA CED CIE students, alumni and students of other universities. 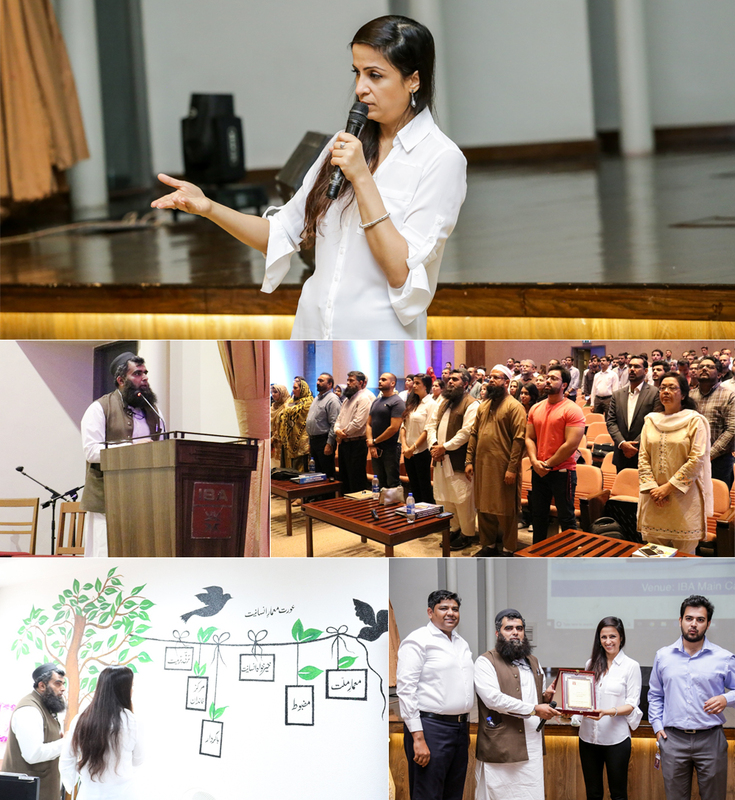 The speaker was an IBA Alumna Ms Shama Zehra . She emphasized on ''How to follow your passion and build a global enterprise''. Ms Shama Zehra graduated from IBA in 2001 and have an extensive experience of working in Wall Street firms such as Morgan Stanley and Goldman Sachs before venturing into entrepreneurship. The session started with the recitation of Holy Quran followed by the National Anthem. Later, the Program Director, Dr. Shahid Qureshi introduced IBA CED to the audiences. He also shared the so far accomplishments made by the CED. The speaker focused on the importance of networking in entrepreneurship as well as having the right team and attitude to forge one's path. The session was participative as students and alumni asked questions and exchanged ideas. Later, she introduced her travel app Jetzy which helps connect travelers with the local people with similar interests through geo-location. The session provided an opportunity for students and alumni to learn from an experienced entrepreneur and the importance of taking result oriented decisions. In the end, Dr. Shahid Qureshi presented a souvenir and bouquet to the speaker on behalf of the whole IBA fraternity Mr. Rao Israr Ahmed, Program Manager, EDP was also there to facilitate the students and the speaker.